(13c) Developing long-term monitoring scheme(s) based on periodic surveying throughout the entire range of Black Sea cetaceans in the Black Sea, Azov Sea and Turkish Straits System. Standard methods should be used so that results could be compared over time (different years and seasons) and from one area to another. (14c) The photo-identification constituent should be incorporated in subsequent monitoring schemes covering the entire range of Black Sea cetaceans. The access to Black Sea photo-identification datasets and catalogues of identified individuals can be secured by means of periodical publishing of relevant data on CD-ROM as well as online on a specially dedicated web site. (15a) Developing the existing national CSNs and their functional fusion into the basin-wide network. A standardised methodology of data collecting and sampling should be set up supported by training of CSN members and providing them with appropriate literature. The regional CSN should operate permanently providing reliable information on dynamics of strandings recorded for each Black Sea cetacean species. Besides, in order to determine causes of death, the investigation of stranded animals should be carried out along with morphometric study of cetacean carcasses and samples collecting for further multidisciplinary laboratory analyses. (15d) The data and samples collected by the regional CSN should be used to gain new knowledge on cetaceans mortality, population structure and genetics, life history, ecology, pathology, parasitology, ecotoxicology (persistent organic pollutants and trace elements), etc. 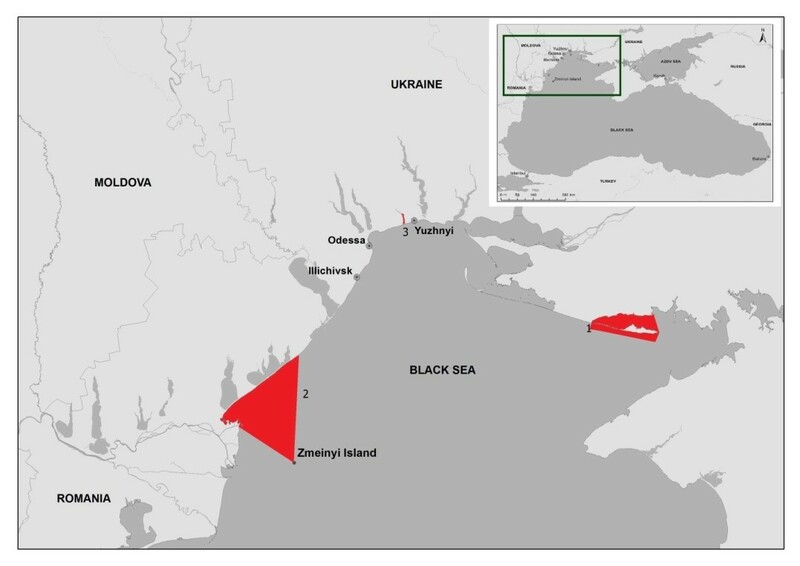 These studies will contribute to monitoring schemes and periodical assessment of the status of Black Sea cetacean populations. In addition, the project is compliant with the Resolution 1.12 (Conservation of the Black Sea Tursiops truncatus : bottlenose dolphin), 2.28 (On the promotion of photo-identification activities), 4.11 (Population structure studies) and 5.9 (ACCOBAMS Survey Initiative). The project is conducted by the Ukrainian Scientific Center of Ecology of the Sea (UkrSCES) in Odessa, Ukraine, with the expert support of Schmalhausen Institute of Zoology of National Academy of Sciences of Ukraine. The UkrSCES is the main institution of the Ministry of Ecology and Natural Resources of Ukraine in the field of marine ecological research. 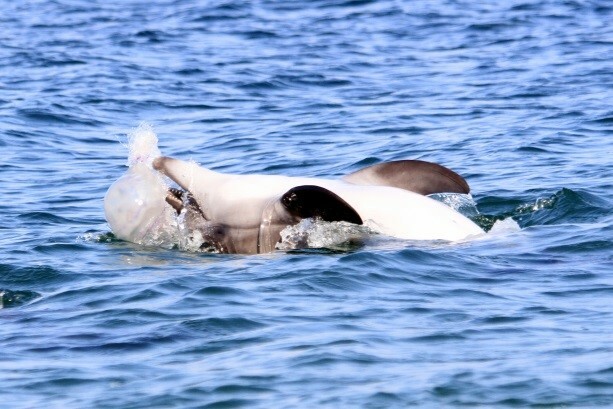 The project is aimed to increase knowledge about population structure and local distribution of the Black Sea cetaceans, among which there are endangered Black Sea bottlenose dolphins and harbour porpoises and vulnerable common dolphins. (b) waters near the Danube delta (Area 2). In addition, the third area potentially important for cetaceans is covered by the study, the Hrygorivsky Bay (Area 3), where a summer resident local group of common dolphins was recently discovered. All three areas are extremely shallow (0–20 m near the Dzharylgach, 5–20 m in the Hrygorivsky Bay and 5–50 m near the Danube delta), and some of them are semi-enclosed gulfs. Parts of the Dzharylgach and Danube areas are included into existing nature reserves, and Danube and Hrygorivsky areas are actively used by man. Areas of study: 1, Dzharylgach, 2, waters near the Danube delta, 3, Hrygorivsky Bay. The project field activities lasted from June 23 to September 20 in 2016 and from March 9 to August 10 in 2017. Project field activities included photo identification boat cruises, a cetacean density survey, observations at sea from the platforms of opportunity, observations and photo identification efforts from coastal platforms and coastal surveys for monitoring of strandings. Also, the project included analytical activities: analysis of photographs and data of surveys, abundance estimates and initial assessment of local populations, creating an updating the databases. In addition to the authors of the report, Bogdan Gulak, Anna Kryukova, Julia Ivanchikova and Tatyana Derkacheva took part in various activities. Ukrainian Scientific Centre of Ecology of the Sea (in the person of Viktor Komorin, the director) provided facility and utilities for the project. Dzharylagtsky National Nature Park (in the person of Svetlana Shulga, then the director of the Park, and Vitaly Kovalenko, the acting director) provided help in field work, and Schmalhausen Institute of Zoology, National Academy of Sciences of Ukraine (in the person of Igor Dzeverin, head of the department) provided expert support.